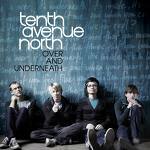 Tenth Avenue North is a band that has recently come on the Christian music scene, but they have certainly made waves and, personally, have become my new favorite band. The members of this band have hearts that seek to truly honor God in their music as well as in all parts of their lives and minds that are level-headed as well as talented. This is evidenced not only by their song lyrics, but also by their journal posts which not only explain their songs, but give helpful insights and wisdom. Their first album, Over and Underneath, is one of the few that I can listen to over and over again. I greatly recommend this band for your consideration and I watch with great anticipation to see how God will use them in the future. Not till then—how much I owe. Something of how much I owe. By my love, how much I owe. Weary sinners all I owe. To Thy poor, how much I owe. This week’s quote on Resurrection Sunday, comes from the liner notes of Andrew Peterson‘s album, Resurrection Letters, Volume II. After that brutal Friday, and that long, quiet Saturday, he came back.